Slip dresses are the perfect choice for evening events or wedding receptions because they're so effortless and chic. 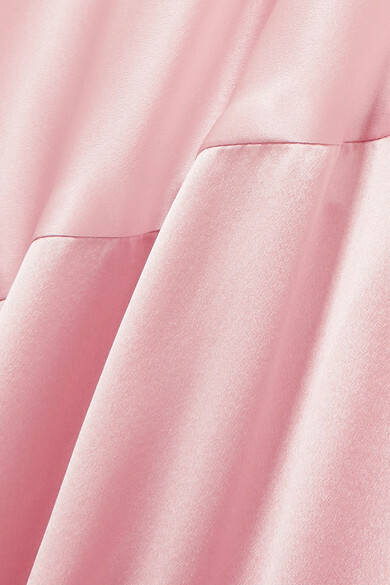 Michael Lo Sordo's 'Caroline' version is cut on the bias from light-pink silk-satin to drape beautifully over your curves before falling to a maxi length. Suspended from slinky crossover straps, this one falls low at the back so complement it with a pretty updo. Shown here with: L'AFSHAR Shoulder bag, Attico Sandals, Laura Lombardi Ring, Chloé Earrings, Alighieri Bracelet.